We are pleased to announce the launch of our new online store. 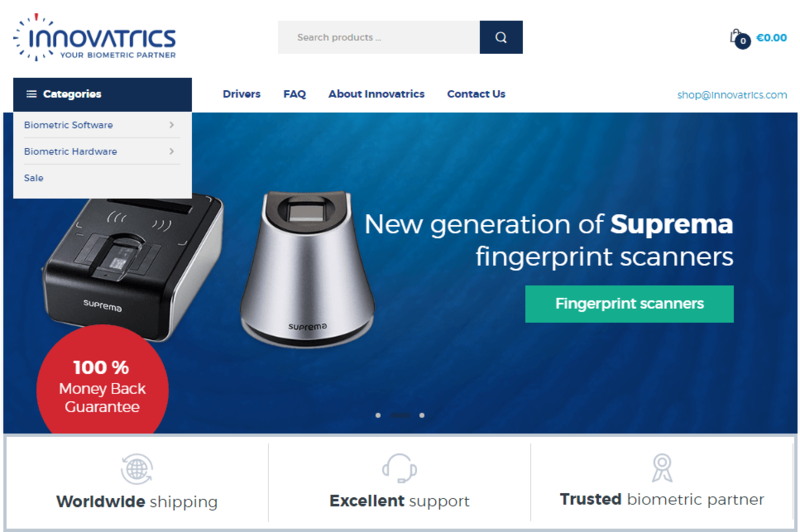 With a fresh, modern look, the new store allows customers to easily browse our entire range of fingerprint SDKs and hardware. Featuring a handy new search function and product categorization, users can browse, view and purchase their desired products easily and securely. What’s more, to help customers find the right product to suit their needs, we have also added an online chat function which will put you in touch with one of our expert advisors to help you find exactly what you need.